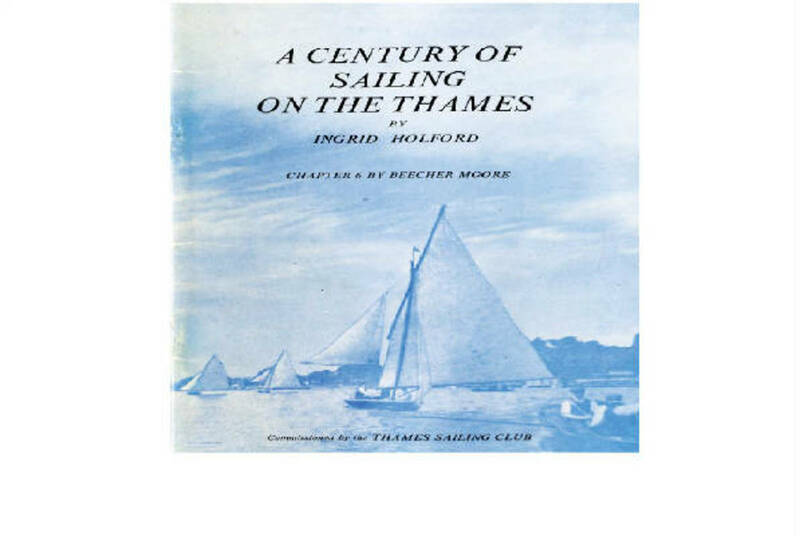 Written by Ingrid Holford circa 1968 this book contains a fascinating account of "A" Rater sailing on the Thames through the years. The idea for this book came from many conversations at the Thames Sailing Club over the past years. It was to have been just a centenary history of the club, but has turned out to have rather wider scope which I hope will interest all modern dinghy sailors. I should like to thank the Editors of “The Surrey Comet", “ The Yachtsman" and “Yachting Monthly", whose vintage issues have yielded such a fund for information, and the Editor of “The Field" for permission to quote from Dixon Kemp's “Manual of Yacht and Boat Sailing". Also the Trustees of the National Maritime Museum for access to the minutes of the Sailing Boat Association and the RYA for allowing me to see their old minute books. I am very grateful to the many yachtsmen and sailing clubs who have contributed information and allowed me to reproduce photos from their collections. I am particularly indebted to Beecher Moore for his chapter linking veteran Thames “A" raters and the modern dinghies: and to my husband for having succeeded, against apparently hopeless odds, in getting me interested in boats in the first place. The Book is available for download in PDF here.